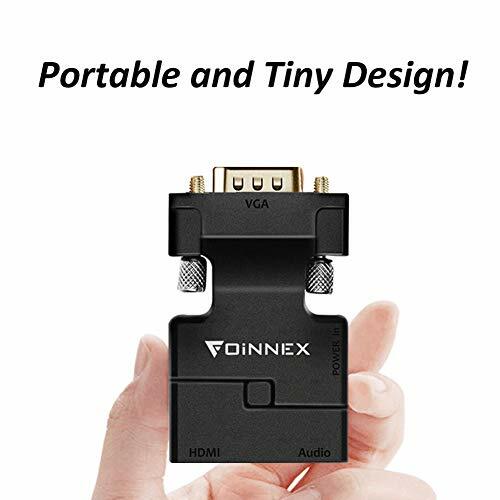 Portable FOINNEX VGA to HDMI Adapter/Converter. 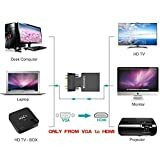 Easily hook up older model computer/laptop with VGA output to TV, monitor or projector with HDMI input for video streaming, game playing or sharing content. 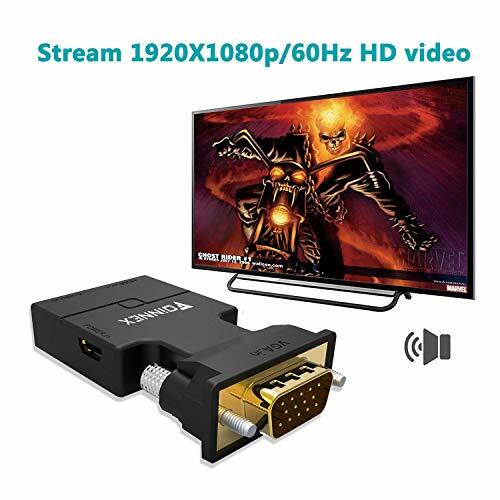 Stable Digital Converter Chip: convert and support 1080p HD resolution intelligently. Wipe out the unstable factors of double vision and heavy tailing. Extra Bonus: 3.5mm minijack Audio Cable and Micro USB Cable. The USB cable must be connected to a 5V 2A computer USB port or a 5V 2A power adapter. Audio output: 3.5 audio interface/R+L. Plug and Play. Gold-plated connector. Made of multi-strand copper wire, this converter can shield the external electromagnetic interference for optimal data transfer. 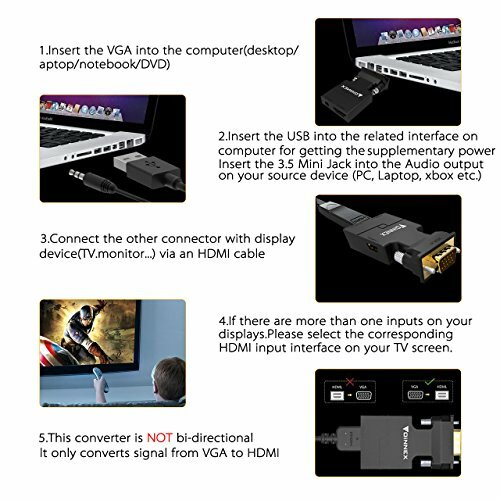 Note: One way design.Only from VGA to TV or Monitor with HDMI input. 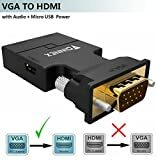 Can't be used as a HDMI-VGA adapter, for the HDMI to VGA adapter for PS4,Nintendo switch etc, please refer to ASIN "B07G7BDYCW". FOINNEX VGA to HDMI adapter/converter can convert analog VGA signal into HDMI digital signal from devices with VGA interface (Computer/laptop/HD TV-Box etc.) 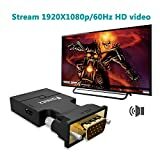 to devices with HDMI interface(monitor, HDTV, projector,etc). 3.5mm Minijack (Audio),50cm long minijack cable included. Micro USB (Power),50cm long micro USB cable included. HDMI Female,A HDMI cable is needed (not included). 1.Insert the VGA into the computer(desktop/laptop) or other equipmentS with a VGA output. 2.Connect the USB to the related interface of computer for getting the supplementary power. 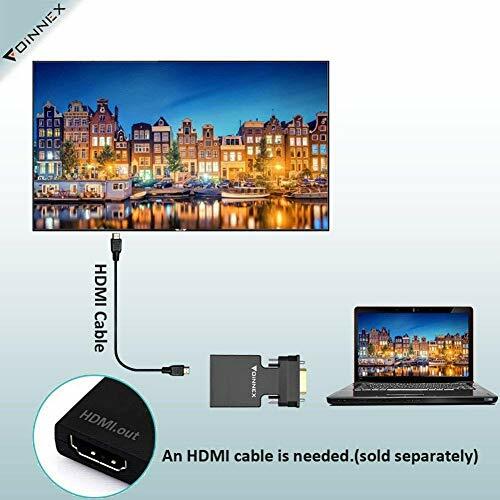 4.Connect a male to male HDMI cable between the adapter and your HD display device (TV, monitor,projector or others). 5. 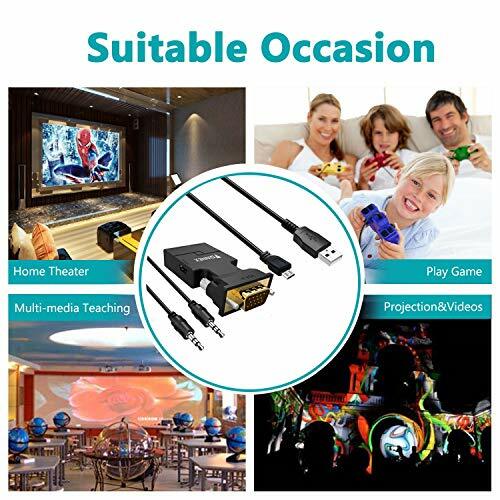 If there are more than one HDMI input on your display device. Generally, signed as HDMI 1/HDMI 2/HDMI 3. 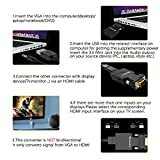 Before connecting this HDMI cable to TV, Please select the corresponding HDMI input interface on your TV screen. 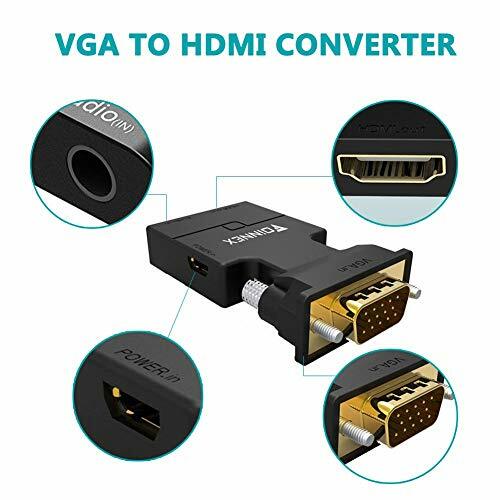 For example, if you want to connect the HDMI cable to the HDMI 2 interface on your TV, please select HDMI 2 input on your TV with the remote control. Plug and Play with a portable size. It is easy to be placed in your pocket or bag. computer USB port or a 5V,2A power adapter. 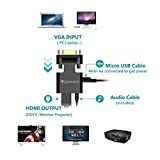 4, Can NOT be used as a HDMI to VGA adapter.